How Is Food Made Lactose Free? Adding the enzyme lactase to a dairy product will convert the lactose into more easily digestible sugars. Many people have an allergy or intolerance to the lactose found in dairy products. Lactose is a type of sugar that occurs naturally in many dairy products and remains present — and can actually increase in concentration — after some forms of processing. Like many sugars, there are complementary enzymes that are produced in nature to digest the sugars and convert them from one form to another. To make a food product that is lactose free, the enzyme known as lactase is introduced into a dairy product and allowed to interact with the lactose, causing it to be converted into the sugars glucose and galactose. A person who is lactose intolerant, meaning he cannot process lactose, is usually able to process these two sugars, so the treated dairy product can be consumed without any adverse side effects. The process of making dairy products lactose free is done largely to allow people who are lactose intolerant to have dairy in their diet. Lactose intolerance means a person's digestive system does not produce the enzyme lactase, which would normally convert lactose sugars inside the body. By adding this enzyme to dairy before it is consumed, the need for the digestive system to perform this function is removed. A lactose-free product is nearly identical in nutritional value to a product that has not had the lactose removed. Most commercial manufacturers start by preparing the products in other ways, such as reducing the amount of fat in a product to produce skim or non-fat products. The dairy product is then treated with the lactase and the enzyme is allowed to work for one or more days to ensure that it has reacted with all available lactose in the product. After the dairy product is tested to ensure it is lactose free, it is pasteurized so it can be shipped and sold. 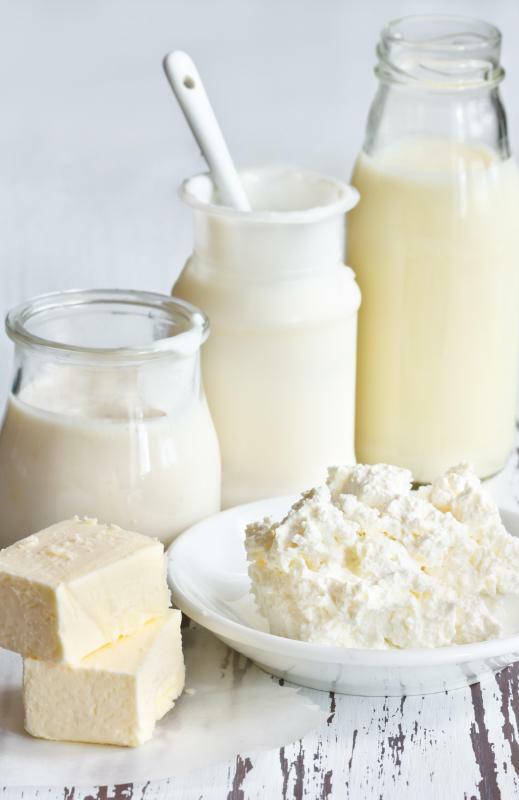 In some products that are pasteurized, the lactase enzymes will still be active after shipping, while products that undergo ultra-pasteurization will contain only a neutralized enzyme. Some types of dairy contain lactase naturally or, through some process, are lactose free by default. Raw cow’s milk contains a certain amount of lactase, so it can be consumed by those who have a slight intolerance, although lactose is still present. Aged cheeses also are sometimes lactose free, depending on the exact method and cultures to which it is exposed. It is important to understand that a lactose-free product will not be safe for a person who has a milk allergy. 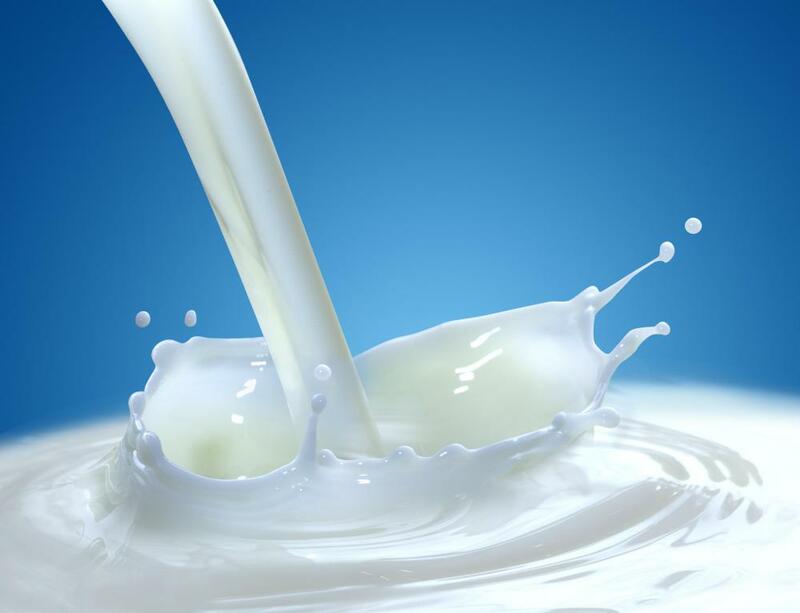 There are other components in milk, such as casein, that could be the source of the allergy. Additionally, the reaction from an allergy is far more severe than the reaction from lactose intolerance, so even if it is lactose free, milk should not be consumed by a person with a milk allergy. What Is the Difference between Lactose Free and Dairy Free? What Are the Different Types of Lactose-Free Foods? In the last paragraph, I like how it makes the distinction between a person being lactose intolerant, and having a milk allergy. People often get this confused. To note the difference even more, if someone is lactose intolerant, while they may not be able to eat dairy, doing so could simply cause them to get stomach aches or become bloated. However, if you have a dairy allergy, it can land you in the hospital even after the smallest consumption. Like most food allergies, it can be very dangerous, and you have to be careful with what you eat. One of the most beneficial things about making foods lactose free is that it then appeals to everyone. In other words, those who aren't lactose intolerant can enjoy dairy as much as they want to, while people who can't eat dairy enjoy all the benefits that everyone else can. In this case, it's a win win situation. Speaking of lactose intolerance, I feel that servers at restaurants need to be more aware of others dietary needs. For example, let's say that someone orders a hamburger and the waiter puts a slice of cheese on it. Even though you can just take it off, it really shows that we don't always think about others.